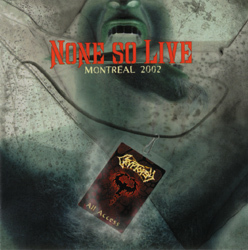 Originating from the Montreal area, this group first appeared in 1992, when it was called Necrosis; in the same year it was reincarnated under the name of Cryptopsy. With just a demo called Ungentle Exhumation and then the album Blasphemy Made Flesh (1994), the group acquired a solid reputation on the international scene. Their release of None So Vile in 1996 was the first burst of brilliance in their career. From that point the group clearly outclassed other groups by reinventing the style, today categorized as extreme music. 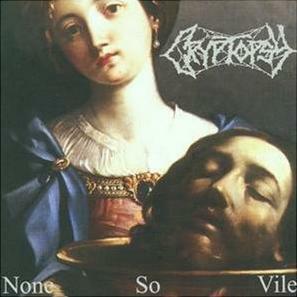 Their album None So Vile will always be considered a death metal classic. In 1997, the addition of the vocalist Michael DiSalvo replacing Lord Worm added a very intense front man to the group. After a remarkable performance at the Milwaukee MetalFest, the band received a contract offer from Century Media Records, one of the weightiest disc companies specializing in metal music. In each period since the beginnings of the underground metal wave, lead groups have pushed past the limits of musical genres. 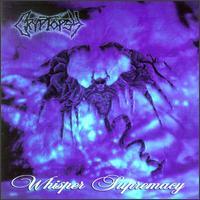 Feeling the pressure to compose an album even more extreme than None So Vile, Cryptopsy members launched Whisper Supremacy in 1998. In its association with Century Media Records, the group achieved world distribution for Whisper Supremacy, meaning they were able to put on shows on several continents, including Asia, Europe and North America. In Japan just three weeks after its release, 6,000 copies had already been grabbed up in the land of the Rising Sun and total sales around the world have exceeded 50,000 copies - quite an exploit in this musical niche. 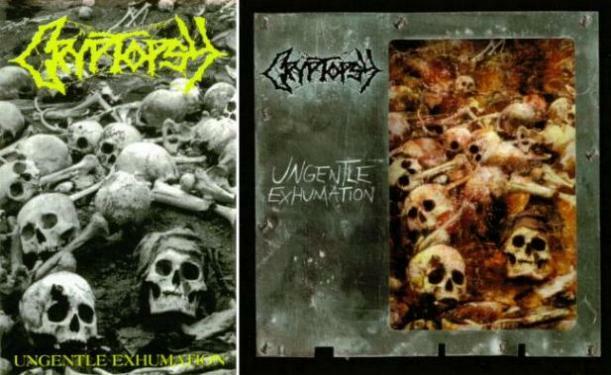 Cryptopsy is the first Quebec metal group since Voïvod to make such a significant impact on an international level. Since their 1998 release of Whisper Supremacy, significant events have multiplied at an accelerated speed. After their American and European tours, their participation at the famous Dynamo Festival in Holland and shows in Japan, the quintet has gone back into the studio to record And Then You'll Beg, a fourth opus in six years. Once again, this album has been produced by Pierre Rémillard (None So Vile, Whisper Supremacy) and was released worldwide during Fall 2000. In August 2001, the vocalist Michael DiSalvo left the band after a performance at the German Festival Wacken Open Air. He was then replaced by Martin Lacroix from the band Spasme. 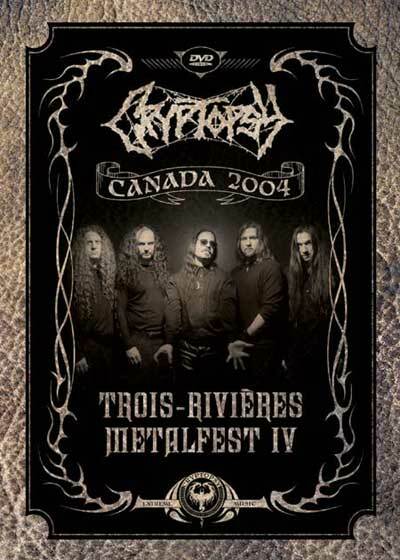 On June 1st 2002, Cryptopsy put an end in Montreal to a world tour of 150 concerts through North America, Europe and Asia. The album None So Live was released in May 2003 and since then all the fans of extreme music around the world can experience this memorable concert. At the end of 2003, Cryptopsy were proud to announce the return of the original member and legendary vocalist-lyricist Lord Worm. 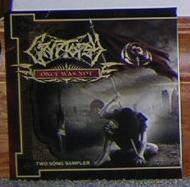 Near the end of 2005, the first Cryptopsy album with Lord Worm since None So Vile was released - Once Was Not. Rather than being an intensely brutal, gore release in the style of None So Vile and Blasphemy Made Flesh, Once Was Not placed far more emphasis on a more rasping vocal style, with drummer Flo Mounier contributing a lot on backup vocals. Although nowhere near as acclaimed as BMF and NSV, Once Was Not is almost universally accepted as a major step up from the subpar days of Mike DiSalvo. Cryptopsy's drummer, Flo Mounier is widely thought of as the greatest death metal drummer around with only Derek Roddy challenging him. He has been and will continue to be an inspiration to the youth of death metal drumming. On April 23, 2007, Cryptopsy announced that Lord Worm was no longer in the band and that they were currently looking for a new vocalist.